There's a story of Ostrich who never uses words he learned from the different mediums but one day things change. It's a fun & quick read. It's a children book where the author tries to teach noun, adverb, adjectives, and words. The story doesn't leave a long-lasting impact because there is a lack of depth but the reader can learn grammar and words in a different way especially kids. It's a good book for kids but it could have been better. 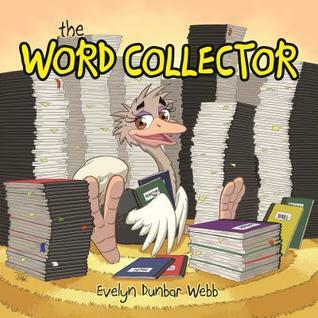 First, in a grammar and composition series for 6- to 9-year-olds, The Word Collector features Priscilla, a word collector too shy to share her words, making it difficult for her to make friends. Written and illustrated in a style that captures and keeps students' interest, the story encourages a love of language--and a willingness to help others--as it reviews the four main parts of speech: noun, verb, adverb, an adjective.